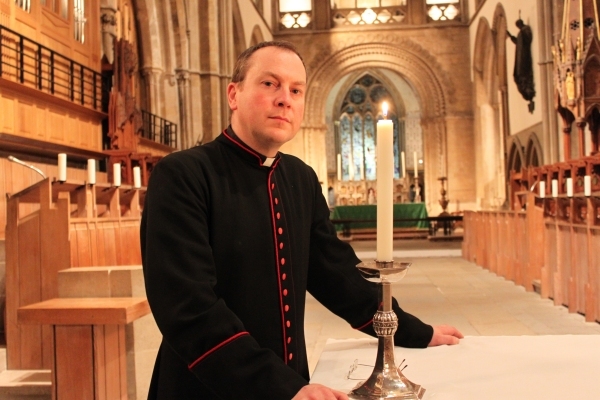 People are invited to pray for all those suffering in Iraq during a day-long vigil at Llandaff Cathedral this weekend. 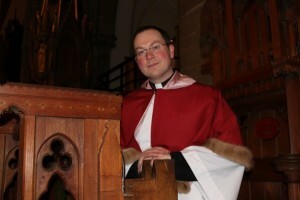 The Dean, Gerwyn Capon, will begin the day with a service on Saturday (September 6)at 9.30am and will be at the Cathedral all day for people to join him in prayer. The day will close with a service of evening prayer at 5.30pm. A vigil candle will be lit in the centre of the Cathedral under the Majestas sculpture and people are invited to light their own candles while they pray and reflect. There will also be a collection plate for St George’s Church in Baghdad which has seen much violence and suffering and is working tirelessly to provide shelters for the huge number of displaced people in the country. Llandaff Cathedral’s Harvest appeal will also be for St George’s Church. This was posted on 3 September 2014 and updated on 5 September 2014.